Your feet are arguably the most important parts of your body. They keep you upright and let you move anywhere you want to go. Protecting your feet should be your first priority, and the wonderful folks at Timberland are here to help. These Timberland PRO Men's Heli ... (see full details) (see specifications) #TB0A1HQL214. Your feet are arguably the most important parts of your body. They keep you upright and let you move anywhere you want to go. Protecting your feet should be your first priority, and the wonderful folks at Timberland are here to help. 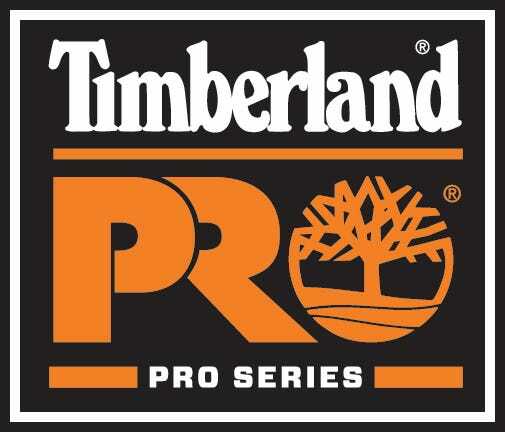 These Timberland PRO Men's Helix HD 6-Inch TB0A1HQL 214 Brown Composite Toe EH Work Boots are specially designed for the working person and made to be comfortable and durable- all at the same time. They're waterproof feature safety toe and electrical hazard ratings, too. Lucky for you, the designers at Timberland had safety in mind when they designed these tough brown leather boots. In addition to being slip-resistant, the rugged Ladder Lock radius outsoles are also heat- and oil-resistant as well, giving you the peace of mind to go anywhere and do anything on the job site without feeling like your feet are going to let you down. The most important safety features, however, are the composite safety toe caps in this Timberland PRO footwear These safety toes are specially formulated to meet I/75 and C/75 impact and crush resistance safety standards and also ASTM F2412-11 and F2413-11 safety standards, offering your feet the protection they need to go anywhere that you need to go. The men's composite toe boots are lightweight, and they're also electrical hazard (EH) rated to guard you around some open circuits. These tough Timberland PRO Helix boots are made with premium waterproof leather uppers that protect your feet against abrasions, while waterproof membranes keep your feet dry and cool at the same time. These waterproof membranes deliver superior waterproof protection while also giving you blood-borne pathogen protection. This makes these composite safety toe boots perfect for those in a law enforcement or military career. The rugged leather uppers also have padded top collars that offer comfort to the upper parts of your ankles and lower legs. Working in tandem with the premium leather uppers is a mesh lining that helps to keep your feet cool while also wicking away odors. This liner is able to do this because of an antimicrobial treatment that's applied. Inside these 6-inch waterproof boots are nylon shanks that stabilize and support your steps. Timberland added anti-fatigue comfort technology footbeds to the interiors, too. These cushioning footbeds absorb shock and return energy at key zones of your feet for increased comfort. They're constructed from molded, inverted cones that support, collapse, and return energy in key pressure zones, giving you less pressure and stress on your feet, while the cone design uses less material, giving you lighter men's work boots. So if you’re looking for safety toe EH boots that will protect you while keeping your feet comfortable at the same time, these Timberland PRO Men's Helix HD 6-Inch TB0A1HQL 214 Brown Composite Toe EH Work Boots from Working Person's Store are for you. Order yours today, and your feet will never feel the same. Timberland PRO Boots: Men's Helix HD 6-Inch TB0A1HQL 214 Brown Composite Toe EH Work Boots is being added to your cart.